Venture into this forest dreamscape, where the bark, branches, and leaves of trees are alive with vibrant patterns ― and hidden objects to find! These 31 scenes include artfully concealed images of birds and other wildlife that will add a touch of mystery to your coloring. Pages are perforated and printed on one side only for easy removal and display. 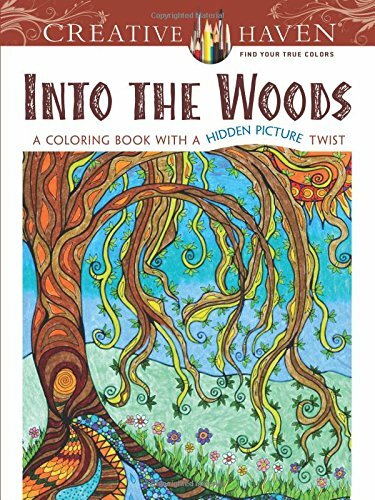 Specially designed for experienced colorists, Into the Woods and other Creative Haven® adult coloring books offer an escape to a world of inspiration and artistic fulfillment. Each title is also an effective and fun-filled way to relax and reduce stress.